Microsoft is gearing up to release Windows 8.1 Update 1 in a few months time, and some of the biggest changes that have been rumored focus on addressing issues raised through user feedback. The latest piece of information, courtesy of The Verge, claims that Windows 8.1 Update 1 will boot to the desktop by default, completely bypassing the 'Metro' interface. 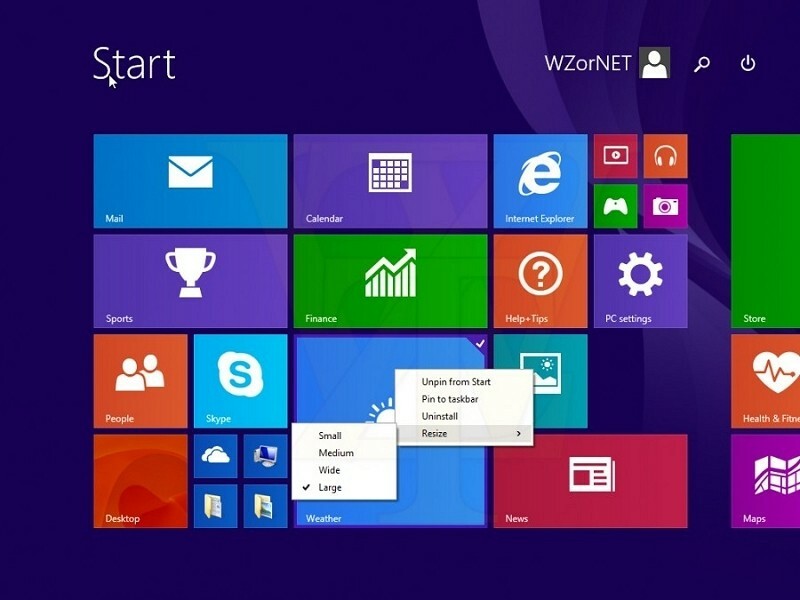 The option to boot to the desktop was first introduced in Windows 8.1, allowing those who didn't use the Start screen to avoid it entirely. However the setting was somewhat hidden in the taskbar and navigation properties, which meant that many new users still found themselves confused by the Metro interface and how it operates on desktop PCs. By enabling the option by default, the experience for keyboard and mouse users will improve. This change in Windows 8.1 Update 1 won't be the only to focus on keyboard and mouse users. Microsoft is expected to introduce a power menu and search button right on the Start screen, mouse-friendly context menus will be introduced, and there will likely be an option to pin Windows 8 'Metro' apps to the taskbar. In future updates, including Windows 9 'Threshold', we can also look forward to the return of the Start menu, and the ability to run Metro apps in windows on the desktop, at least according to rumors. The launch of Windows 8 has been particularly troubling for Microsoft, with the company spending most of its time addressing feedback in subsequent updates, such as Update 1. The Metro interface has been praised for its versatility and usefulness on touch-enabled devices, but was criticized heavily by desktop users for being unfriendly to their setups. Booting to the desktop by default is just another backpedal that Microsoft is looking to make to appease users, most of which still use a keyboard and mouse.